Difference between revisions of "Music 253"
Lilypond, initiated in 1996 by Han-Wen Nienhuys and Jan Nieuwenhuizen, is a non-interactive but feature-rich typesetting program for music. 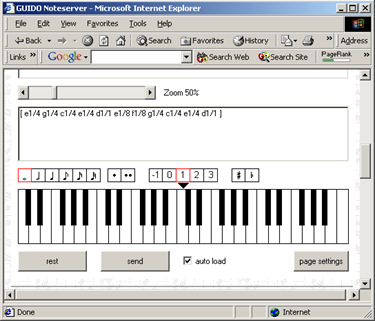 It was derived from MusiXTeX, a TeX typesetting program for music. As a text-based program, it does not have a graphical user interface. Examples and further information are available at the [https://en.wikipedia.org/wiki/Lilypond GNU Lilypond] entry in Wikipedia. Two kinds of information--pitch and duration--are pre-eminent, for without pitch there is no sound, but pitch without duration has no substance. Trained musicians develop a very refined sense of pitch. 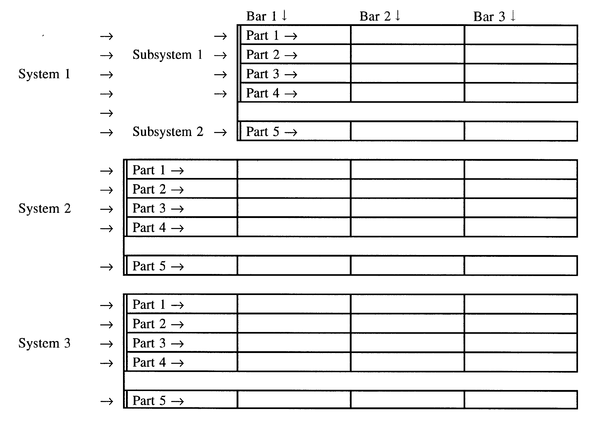 Systems for representing pitch span a wide range of levels of specificity. Simple discrimination between ascending and descending pitch movements meet the needs of many young children, while elaborate systems of microtonality exist in some cultures. P&E has always been associated with the international RISM music-bibliographical project, and particularly with the cataloguing of music manuscripts from the seventeenth and eighteenth centuries. At this writing (August 2012) the online RISM database of manuscripts contains c. 800,000 entries, which come from more than 60 countries. The project was begun in 1952. Much of the material available online today was initially transcribed on paper. The database structure in which the musical data exists has more than a hundred text fields and is searchable in many ways. Links to the digitized manuscripts directly from the RISM listing are uploaded monthly. Two more collaborative programs for typesetting are Guido and ABCplus. Guido Guido is designed for changeable typesetting instructions, for producing materials for websites, and for accommodating custom extensions. Fundamentals of Guido can be found at Craig Sapp's Guido tutorial. Two features of 1970s plotters account for basic features of score: (1) plotters required X, Y coordinates vertical/horizontal coordinate information and (2) plotters were well suited to producing vector graphics. 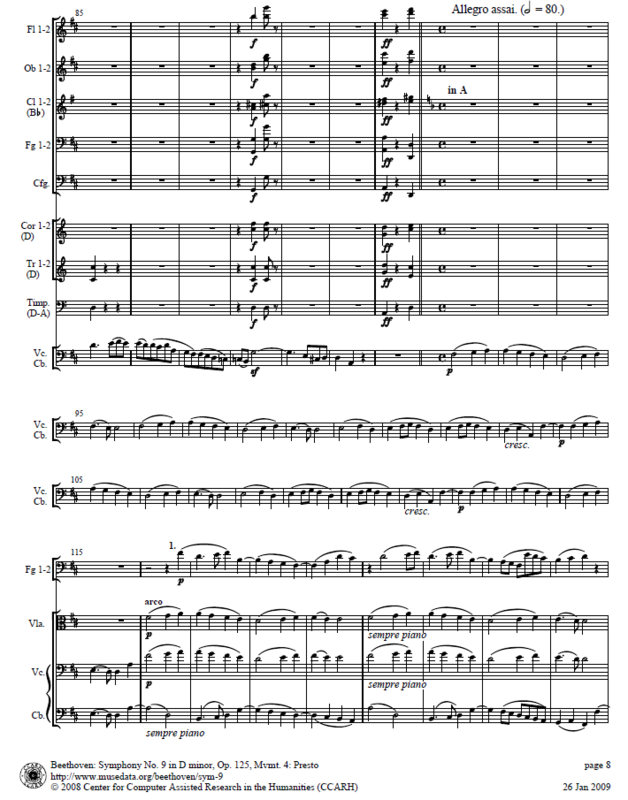 With respect to music, the first principle accounts for SCORE's parametric layout, which places every object in relation to an exact vertical/horizontal point. (All printing programs need to give an account of placement, but in most commercial software packages these details are hidden from the user or seen only in tiny glimpses on screens for refined editing.) The vector graphics used by SCORE anticipated the later development of PostScript fonts, including Sonata (1987), the earliest such independent font for music. The Music Encoding Initiative seeks to provide non-commercial standards for the generalized encoding of materials containing music such that the content of the original materials is preserved as literally as possible, while the preparation of new renderings is not inhibited. As a predecessor of both HTML and XML, Standard Generalized Markup Language can be viewed as the primogenitor of projects such as the Text Encoding Initiative (TEI) and MEI. 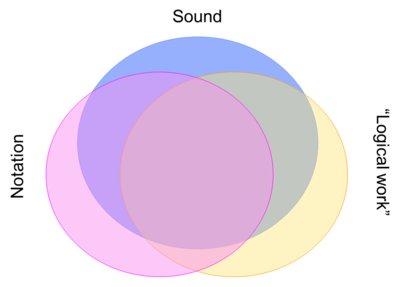 MEI is an XML-based approach suited to the markup of both musical and partially musical materials (i.e., texts with interpolations of music). Attempts have been made to develop cross-domain interchange schemes, but to date none have been successful. 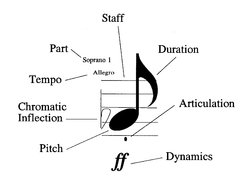 The default "cross-domain" application is MIDI, to which we devote attention above. Since, however, MIDI represents only five parameters of music, its use in this capacity generally filters out other parameters from the old format, which must then be re-encoded in the new one. 1. Beyond MIDI: The Handbook of Musical Codes], ed. Eleanor Selfridge-Field. Cambridge, MA: The MIT Press, 1997.